Saturday, April 20: Review and reflect on Scriptures from the week. Sit quietly and ask God to show up. 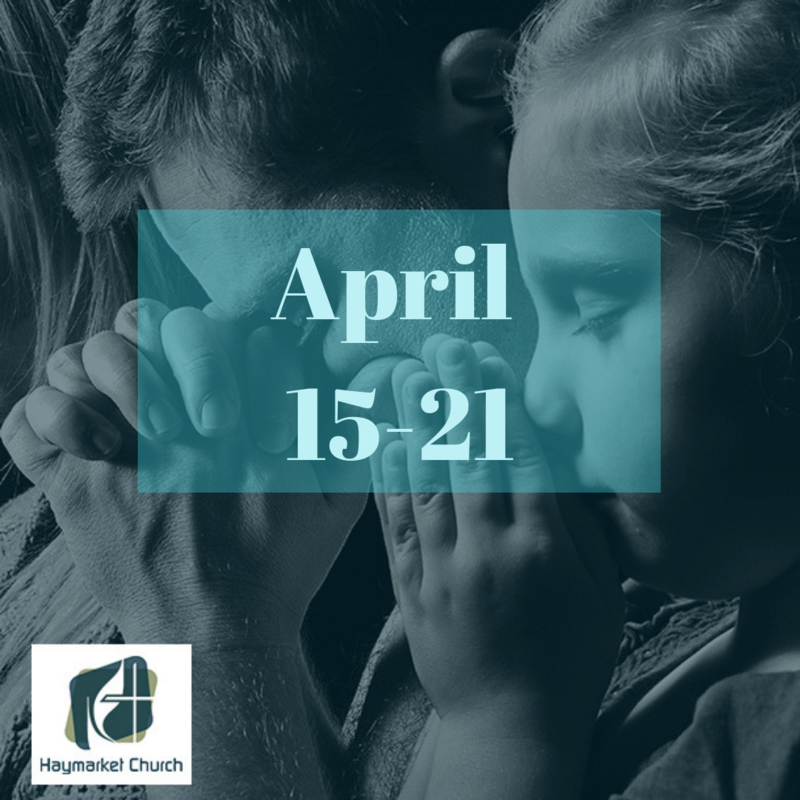 Sunday, April 21: Show up to worship and experience Scripture and prayer together with your church. If you can’t make it to worship, go to our Facebook page or HaymarketChurch.org/livestream-worshipto worship online (either live or later). Prayer Focus This Week: Give thanks to God for the love and sacrifice of Jesus. Take some time to appreciate just how much Jesus must love us in order to be willing to die for us. Thank God for that love. Action: Plan to attend the Good Friday service of Scripture, Darkness, and Song on Friday night at 7:30 PM. This is an opportunity to experience the story of Jesus together.